First, I found out that unless I stood in a particular place on stage with my guitar at a 30 degree angle to the crowd, I got a nice buzz of static and miscellaneous noise. This meant that I could not channel the spirit of Angus Young, but the stage was too small for that anyway. Moreover, it marks my absolute first Spinal Tap moment. Also, I found that I absolutely have to put aside some time to mentally come down after the performance. As is, I went home, toweled off, then lay stone awake in bed for an hour and a half because my own band's songs wouldn't leave my head. I guess this is why so many performing musicians keep the same hours as vampires. 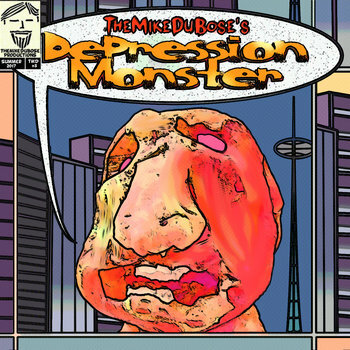 Buy or stream my second album, Depression Monster. TheMikeDuBose & the Antidepressants, Ottawa Tavern, Toledo OH. Saturday, January 20. TheMikeDuBose (acoustic), Up Close Concerts, Music go Round, Toledo OH. Wednesday, February 7, 6:30-7:30pm. Free show! Join the e-mail list for updates delivered to your inbox! Buy or Stream My First Album! My debut solo album! Pay what you want (including free!). 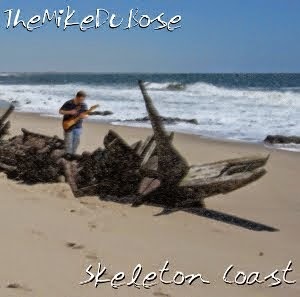 Download Skeleton Coast for free and now like it?